Chocolate chip cookies, which were invented in 1933 when Ruth Graves Wakefield of the Toll House Inn in Whitman, Massachusetts added cut-up chunks of a semi-sweet Nestlé chocolate to a cookie recipe. Originally, chocolate chips were made of only semi-sweet chocolate, but today there are many flavors. That’s so silly I’m sure he didn’t mean to hit the bird, no telling how crazy some people can be. Yay, it’s Chocolate Chip Cookie Day!!! There are a dozen sources that cite May 15 as National Chocolate Chip Cookie Day. I’m confused. 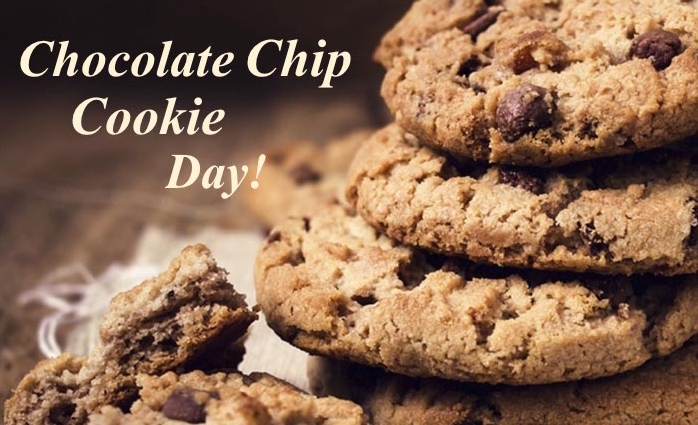 may 15 is ‘national chocolate chip day”…not cookie… i get that a lot. Great. I never knew that!